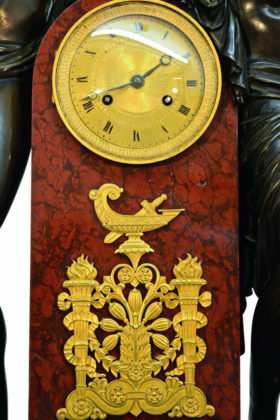 This breathtaking French monumental empire style mantel clock is a tremendous work of art and craftsmanship. 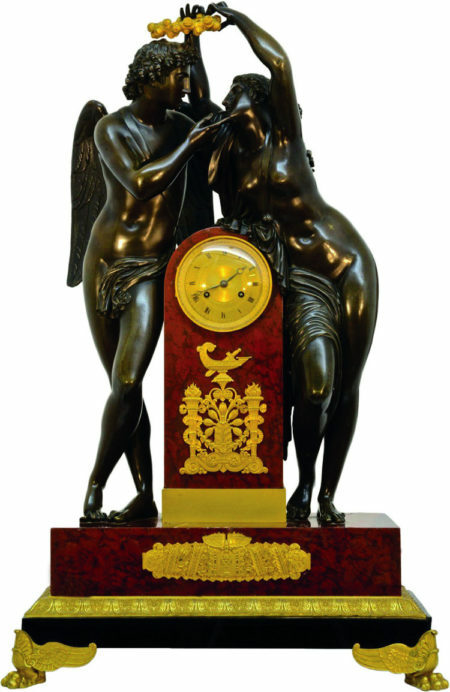 This piece features the exquisite Classical iconography of Cupid and Psyche, after the model by Claude Michallon. 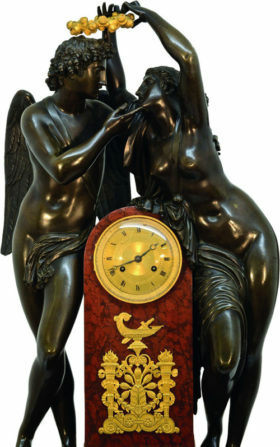 The two figures are elegantly depicted moving into an embrace over the clock, while Psyche delicately places a crown of flowers upon Cupid’s head. 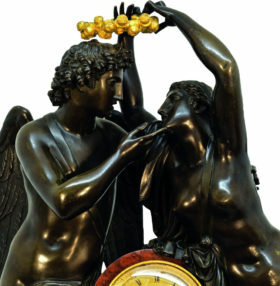 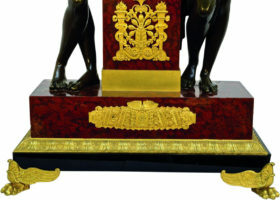 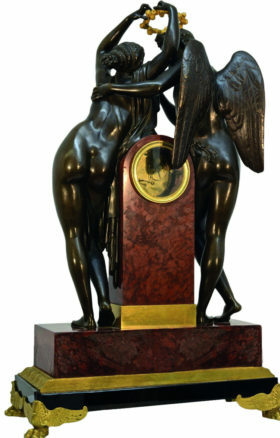 The clock is beautifully crafted of gilt and patinated bronze, with a rich rouge marble body and black marble pedestal.